December 17, 2018 (Last Updated: April 7, 2019) - As an Amazon Associate I earn from qualifying purchases. 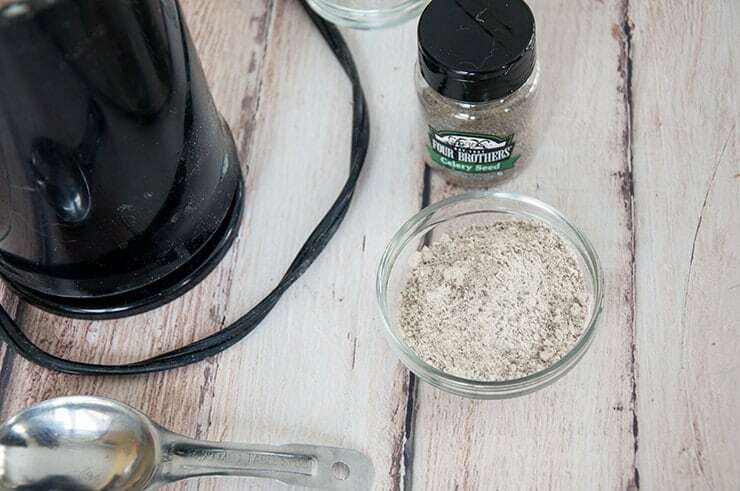 Making your own seasoning can be fun and rewarding. 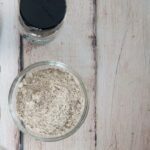 We share how to make celery salt and make the ingredients you use, your own. Give it a try! It can be frugal and tasty. As we dove deeper into our Bloody Mary series, I found myself making celery salt. It is so easy to make and you can do it, too. In a never-ending pursuit of finding the spirit of our topics (Bloody Mary), it just seems like the right thing to do. So, today we are going to put the power of taste into our own hands and explore how to make celery salt. The intricacies of celery salt is something I never thought to consider in the past. It is made from celery seed and salt. Easy enough, right? To make it is a matter of blending the two together. One thing that is always fun for me is being able to really know and understand the ingredients that go into my recipes. Sure, it is easy to go to the supermarket and pick up a container of the cheap stuff and call it a day. By making my own celery salt, I really have an understanding of my recipe that many others may not. I get to choose the celery seed and salt I use in my ingredients. The differences in any final recipe may be subtle, but perhaps that is what separates a great recipe from the best recipe. 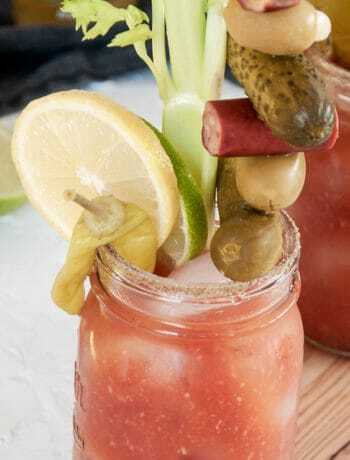 Maybe that difference between Himilayan sea salt, normal table salt, or kosher salt can help define your Bloody Mary. These ingredients can make any recipe more of our own. Instead of relying on some large manufacturer to control our recipe, making our own ingredients really can help produce something unique. I get to control the actual ingredients, the ratio, and the process in which celery salt is made. One thing that I also think is really great about making our own spice mixtures is that it allows us to better understand our ingredients. So, even if I choose to buy celery salt in the future, I might be better able to make purchasing decisions, as I have a more intimate understanding of what it is is. I have this ingrained memory of what it is like to make celery salt. I know this is really getting super nerdy, but I do think that handcrafting these sorts of things, even once, brings a context to the ingredient and to your recipe that others just don’t have. Yes, you can find celery salt pretty cheap. You can, however, make it even cheaper by making your own. 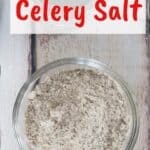 Salt is the more inexpensive part of this recipe and it is at a ratio of 1 part celery seed to 2 parts salt. If you are buying both in bulk, then you might save big. Celery seed certainly has other uses than celery salt, so buying it in bulk may be a great option. If you want to up your Bloody Mary cocktails and your cooking game in general, think about homemade celery salt. 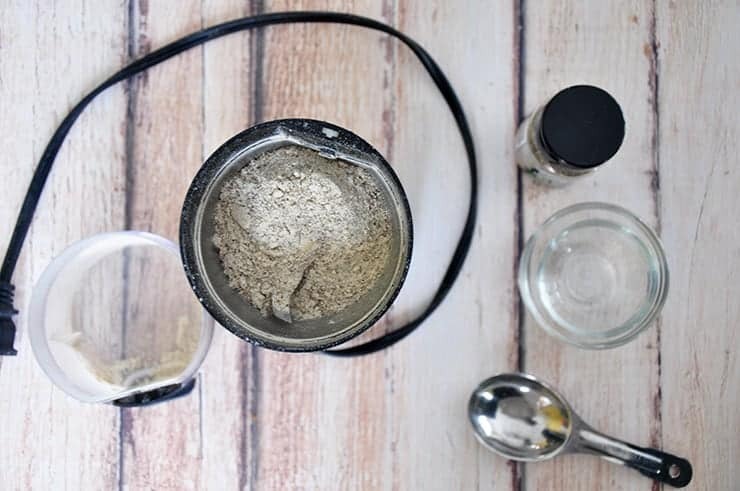 I hope you have enjoyed learning this diy celery salt. 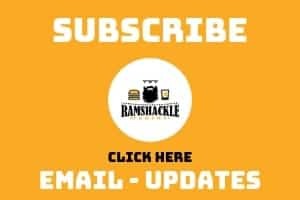 If you like what we are doing here, make sure to subscribe to get updates via email, follow me on Instagram, and follow me on Pinterest. 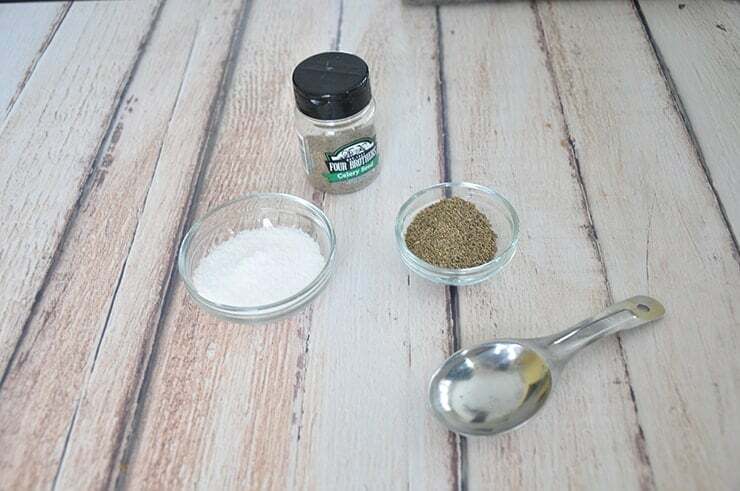 In this recipe, I grind both the salt and celery seed together. This does make a pretty fine final product. If you would prefer your celery salt to have a little larger granules, I would suggest grinding your celery seed separate from the salt. Then, just mixing the ground celery seed with the salt. I hope you enjoy this little DIY project that gives you control over your ingredients. If you like what we are doing here, please make sure to follow me on Instagram and sign up to get updates from email. Why buy celery salt when you can make it yourself? This is a quick and easy recipe that allows you to have control over your ingredients and exercise some frugalness. 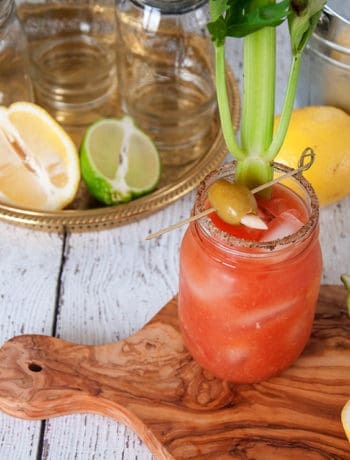 When you are making your next Bloody Mary, think about making your own. Put in an airtight container (I use a ½ pint mason jar) and store.